Taylor Lawn Care, Inc. was started in the spring of 2008 by Adam Taylor and currently employs 7 professionals, so no job is too big or too small. A large assortment of professional equipment to handle many projects are at the team’s disposal and Taylor Lawn Care, Inc. carries a NC Pesticide License which is required by the Department of Agriculture. Adam Taylor was born and raised in the rural town of Woodleaf, outside of Salisbury, NC and currently resides with his wife, Lauren in the Woodleaf area. 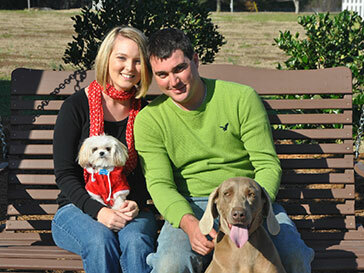 He is a graduate of Catawba College with a degree in Business Administration. Adam has worked in the landscaping industry for over 10 years and has a wealth of knowledge and experience in bringing out the best in plants. He takes pride in all that he does and is chasing his childhood dream: putting you, the customer, first. 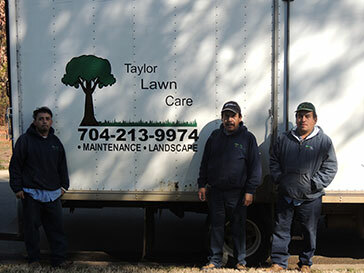 You can count on Taylor Lawn Care, Inc. to design and maintain amazing grounds for you to enjoy at a reasonable price.